Global packaging giant Amcor is on a real spending spree; the company has announced that it has acquired BPI China, the Chinese subsidiary of British Polythene Industries (BPI). According to the official announcement, the deal is worth $US 13 million. “China continues to be an attractive market for flexible packaging globally and this is an excellent opportunity to support our continued expansion in the important Southern region,” Amcor’s Managing Director and CEO, Ron Delia said. The sale is subject to the approval of Chinese authorities and is expected to be completed in the second quarter. “BPI’s PRC subsidiary was established in 1993 to produce low cost carrier bags for the UK retail market. After selling the retail carrier bag business in 2002, BPI China diversified into other products for the UK market. Latterly the Group invested in high quality printing and conversion equipment to supply the Australasian market but progress has been slower than expected, despite an excellent record with product quality and service,” BPI said in an announcement. Amcor has 10 flexible packaging plants in China and has been purchasing a variety of companies over the course of the past year across five different continents. Seven months ago, the company acquired Nampak Flexible, a leading flexibles packaging company in South Africa and Essel Propack’s wholly owned subsidiary Packaging India Pvt Ltd (PIPL); after that, it acquired Ohio-based Encon in a deal worth US$55 million and most recently, Amcor acquired Deluxe Packages, a privately owned flexible packaging business for US$45 million. 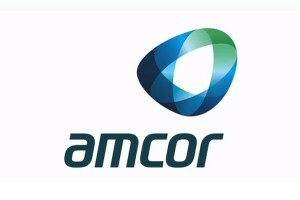 “This acquisition will strengthen Amcor’s leadership position in Southern China and complement the existing business by providing additional scale and talent. It will also broaden Amcor’s capabilities in China to include flexographic printing and reduce future capital expenditure requirements,” the company said regarding its latest acquisition.